A special message for published and future authors who want more visibility, celebrity and money with their books. When you first started writing your book, you wanted to be a best-selling author – rich and famous. You dreamed of selling hundreds of thousands of copies of your book … getting massive media interest and publicity for your book and your platform … greeting huge lines of excited readers during a nationwide book tour … landing lucrative speaking gigs … generating record-breaking sales of your programs and services … and enjoying a huge surge in income while actually working fewer hours. But that’s not what’s happened, is it? 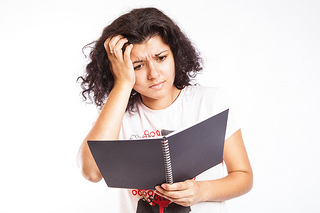 Which of These Book Marketing Challenges Are You Facing? Clear your calendar now for October 30-November 1, 2015 … so you can join me in sunny Los Angeles, California, for Expert Celebrity™ Book Marketing & Red Carpet Live! During this 3-day workshop, I’ll show you how to stop being a “best-kept secret” – and become an Expert Celebrity™. You’ll discover the proven strategies that work today to attract your ideal clients, land coveted speaking engagements, and easily create a 6-figure (or multi-6-figure) business from your book – even if you’re a new author, have a manuscript, or are only thinking of writing a book. Hi, I’m Ruth Klein … a top visibility and marketing maven, 6-time best-selling author, and president of the award-winning Expert Celebrity™ Branding, a results-oriented performance strategic branding and marketing firm for experts and entrepreneurs. I help experts, authors & entrepreneurs become thought leaders in their industry and create 6 and multi-6 figure businesses around their book. My passion is helping people who have important messages to share – callings, really – articulate, package and successfully share their gifts with the world … in ways that produce generous income streams for them, while massively changing the world. My authors have hosted PBS Specials, received tens of thousands of dollars in paid speaking gigs, and created 6- and multi-6- figure businesses all centered around their book and expertise. I’ve appeared in O: The Oprah Magazine and have been interviewed in The Wall Street Journal, The Chicago Tribune, Family Circle, Reader’s Digest, and Washington Post Online – to name a few. I’m able to guide and support my clients to achieve incredible success with my “Trifecta” approach: Thought Leadership Branding, Creative Marketing, Heart-Centered Writing. Now I want to apply my twenty years of experience at the top of the book publishing business to help you create the book and business you dream of – and deserve. MY BUSINESS IS FLOURISHING WITH MY FIRST $10,000 WEEK; I'M WORKING WITH MY IDEAL CLIENTS AND THEY ARE PAYING ME WHAT I'M WORTH; AND MY "EXPERT" VISIBILITY IS GROWING RAPIDLY. I am grateful for saying YES to myself and seeking expert help to build an enterprise based on my book. I am also very grateful to you, Ruth, for your wisdom, intuition, and support. You helped me connect the dots and leverage my brilliance and vision as a thought leader. You have an added special quality of being a "magical alchemist" because not only did I create an important and timely book; I also created the enterprise of my dreams. Now that's a winning combination!" Expert Celebrity™ Book Marketing & Red Carpet Live! is an exclusive, 3-day workshop that gives you the step-by-step roadmap for building a multi-6-figure business from your book. "Talk about maximizing my time! Ruth, you gave me so many ideas on the potential of what I can actually do so THANK YOU!!! Your ideas today are worth over $100,000 for me this year!" ...both new and traditional, and is able to communicate that to others in an unparalleled fashion. 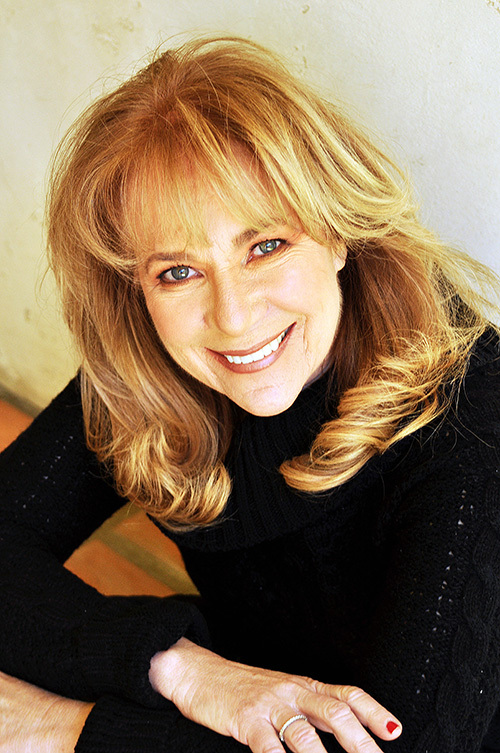 "Ruth Klein has a unique grasp of media, both new and traditional, and is able to communicate that to others in an unparalleled fashion. If you're ready to promote your brand to the world, Ruth Klein can show you how. I highly recommend her." Expert Celebrity™ Book Marketing Live! is designed for any aspiring or published author who wants to sell more books, become known as a thought leader, and build a multi-six-figure business from books. Which of these statements sound like you? You wrote your book, spilling out all of your great stuff … and you want an easy-to-follow, proven book marketing strategy. You wrote a book and it sold well the first few months. But now sales have slowed down substantially … and you want to jumpstart your book sales and visibility. You have a book and you want to know how to enroll high-paying clients from it. You want to know what book marketing strategies will work most successfully with your personality. You want to receive media requests for interviews from television, radio, influential bloggers and others. You’ve written a book and now you want to know how to leverage it into high-paying programs and products. You spent a lot of time writing your book and now want to know how to leverage and monetize each chapter and sub-title within each chapter. If you said “yes” to one (or more!) of the statements above … reserve your spot at Expert Celebrity™ Book Marketing Live! now. Ruth showed us how creating a great brand is a matter of knowing both where and how to look … for hidden truths … unmet customer needs… concealed opportunities. Ruth was able to take the N.NEBROSKI brand and drive it by connecting us both to the heart and the mind, to emotion and reason in equal measure. She was able to craft and express my ideas through inspiration, creativity, and then applied it to a careful understanding of rational and emotional drivers of preference and loyalty. You will have to form your own opinion of Ruth Klein, but my suggestion is to engage her services only if you want immediate and lasting results." Each day of Expert Celebrity™ is jam-packed with practical strategies you can put to work immediately to begin generating media buzz, expanding your reach, and increasing book sales. Unlike many book marketing events, where you get highlights from a parade of experts … I’ll be your primary teacher throughout this entire 3-day event. Marketing success begins in the mind. During this fun and exciting day, you’ll master in the “inner game” of book marketing success – and embrace the concept of being an Expert Celebrity™. What makes an Expert Celebrity™ … and how do you rate right now? With the mindset mastered, now it’s time to start exploring how to reach and work with the media – successful authors’ secret weapon for reaching prospects and exponentially increasing sales. Expert Celebrities™ know that book royalties are only one way to generate revenue from a book. Discover how to fully reap the rewards of your hard work as an author. 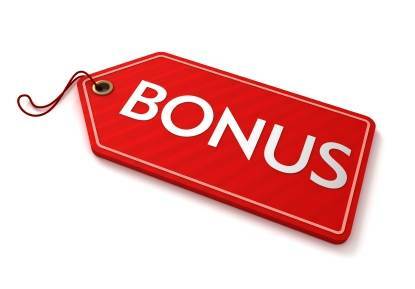 3 additional bonus scripts you can use to position yourself when speaking with the media for interviews. The strategies you’ll learn will help to immediately begin generating more income. And if you haven’t published a book yet? Don’t worry. Not only will you learn things that will help you launch your book to greater success … you’ll also learn things that will help you improve your existing branding, marketing and revenue! Reserve your ticket to Expert Celebrity™ Book Marketing LIVE and if for any reason you are not able to attend, you have up until 60 days before the three day workshop begins to personally ask for a refund. We will refund your ticket purchase, less a modest $50 bookkeeping fee. 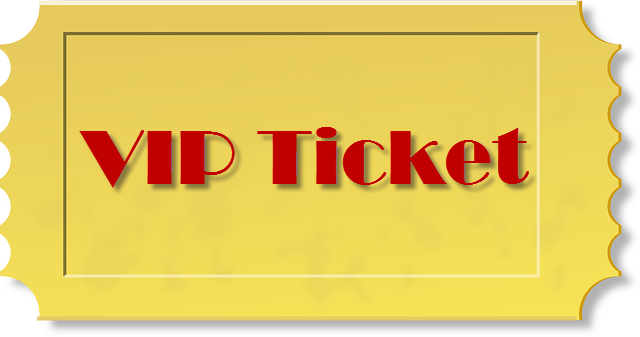 You may prefer to transfer your ticket to a friend or colleague who may attend in your place. There is no additional charge for this. I want you to know that your happiness is my top priority! I want you to participate fully and learn as much as possible. If, by the end of the first day, you feel I'm not delivering on what I promised, just turn in your materials, exit the workshop and we will refund your ticket tuition within 30 days. I'm that confident that you will receive more than promised and that there is nothing out there that comes close to teaching book marketing and strategies to monetize your book, to what you're going to discover with me. 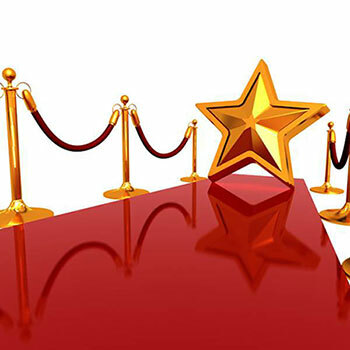 I want to help make your decision to attend Expert Celebrity™ Book Marketing and Red Carpet LIVE! a very easy one for you! I am that confident that this book marketing training will be life-changing for you, your book and your business! Daily Panels Give You Access to "From the Trenches" Expert Guidance To round out everything I’ll be teaching during this content-rich workshop, each day will include a panel discussion with other industry experts. Day 1 Panel: Learn from literary agents and producers who take books to film, as well as screenwriters who are selling their screenplays. Get their insights into how to properly position and pitch your book. Day 2 Panel: Engage in Q&A with social media experts who attract thousands of qualified followers each month, a mobile app expert, bloggers and other media representatives. Discover what’s really working today in traditional and social media. Day 3 Panel: Three of my favorite clients will share their best practices for a lucrative business based on their book marketing. An author & coach in Canada who had her first $10,000 week and started charging what she’s worth. An author and speaker who landed a $25,000 bonus after only two weeks of our working together. A producer who was ready to quit her career … and within 18 months has sold a book to Penguin, a screenplay and a feature film. Special Room Rate: $239/night (Discounted from $259+). Rooms can easily be shared. Bring a Friend? You’re welcome to bring a friend, colleague or a member of your team at a BIG SAVINGS. Bring-a-friend tickets are available right now for just $97. Details are on the “Thank You” page once you reserve your ticket. And you get in there and you go up that mountain with somebody who knows the way and you're with other people who are going the way and support you too. And it made an incredible difference and it was a joyful journey to be going up the mountain with somebody who knows how to get there." Your income mirrors what you believe on the inside about yourself. And likewise … what you experience on the outside tells your unconscious mind that you’re worthy of success. One of the easiest (and most fun) ways to start programming your mind for greater financial success is to create wealthy, luxurious experiences for yourself. These experiences give your mind a very tangible, emotionally rich “feel” for what it’s like to be wealthy and successful. With that in mind, I’ve designed an incredible Red Carpet VIP experience to give you a delicious taste of what it’s like to be a highly successful author. This incredible package delivers an extra $4,000 of value – including practical tools you can start using immediately to generate buzz and social media presence. 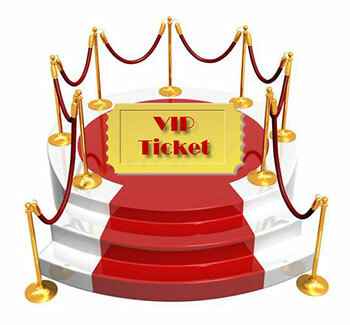 At only a modest $297 more than a general admission ticket, the Red Carpet VIP experience is an affordable investment in your business – and a priceless investment into the development of your successful author’s mindset. Due to the time-intensive nature of some of these special VIP bonuses, however, only a limited number of VIP tickets are available. Consider this: Your income mirrors what you believe on the inside about yourself... and what you experience on the outside that tells your unconscious you’re worth of success. Get my proprietary EXPERT CELEBRITY™ VISIBILITY MATRIX TOOL – 1 page "at a glance" checklist so you can build up your book brand and your business brand with consistency, simplicity and ease. This includes my weekly book marketing questions that keep you calm, focused and in control with your book marketing flow. You'll love how this simple 1-page MARKETING MATRIX TOOL eliminates marketing confusion about what to do in marketing your book like a smart, savvy and Expert Celebrity™. Numerous Press Release TEMPLATES, word-for-word conversation SCRIPTS, detailed, helpful CHECKLISTS and more are ALL included with your workshop ticket. Word-for-word conversation SCRIPTS, detailed helpful CHECKLISTS and more are all included with your workshop ticket. BONUS #4: SALES CLOSING SCRIPT FOR INTROVERTS AND A SALES CLOSING SCRIPT FOR EXTROVERTS DONE FOR YOU! Discover your Expert Celebrity™ Marketing Personality that is the key to unlocking your relationship with marketing. Then, throughout the three days you’ll tailor every exercise, tip, strategy, script, checklist, tool, breakthrough and action step to YOU and your marketing personality, empowering you to enjoy marketing for the rest of your book and business life. No other workshop offers this profound and highly accurate tool to help you create insight and action that transforms you and your book marketing at your core! If you’ve ever hosted your own live event before, you know that it takes a lot of work to fill seats – and that live events are fairly expensive to produce. Waiting to generate enough registrations to even cover your costs can be nerve-wracking. And with so much going on right now in my business, I’d much prefer to lock in the minimum number of participants that are needed to run the event as soon as possible. That’s why I’ve steeply discounted the tuition until October 14, 2015, at midnight Pacific Time. (Yes, it’s an “ethical bribe” to get you to take action now … vs. waiting until the last minute to sign up.) Reserve your place now to instantly save $2,000 on the regular $2,500 tuition price. You'll also receive my personal PODCAST SUCCESS CHECKLIST AND SCRIPTS. Hosting your own podcast is a great way to build your author platform. I’ll share the checklist I use personally when hosting podcasts – a handy tool that will ensure your podcast goes smoothly and is structured to produce business results. You’ll also get my personal help crafting your beginning and ending scripts – the messages you use to brand your podcast, clearly communicate your value, and encourage your listeners to take the next step with you. This practical resource alone is worth $500. But you get it as part of your package if you register by October 14, 2015 at midnight, PST. If you’re one of the first 20 people to reserve a Red Carpet VIP Ticket at Expert Celebrity™ Book Marketing Live!, you’re invited to a private cocktail reception at my home the evening before the event (Thursday, October 29). I’ll arrange for a driver to pick you up at your hotel and whisk you away to my beautiful home in nearby Santa Monica for an evening of delightful conversation and delicious food (and yes, extra insights into what it takes to be a successful author). You’ll get to know me and an intimate group of fellow authors before our real “work” even begins. By the time the workshop kicks off, you’ll feel like you’re in the company of friends. The opportunity to spend time in such a small setting with any teacher is rare. The chance to actually spend time with an expert in the comfort of her own home is even more priceless. One of the things I enjoy most in life is having deep, “conscious” conversations with people I care about. I’m so excited to get to know you – who you are as a person and what lights you on fire. Don’t miss out on this truly one-of-a-kind opportunity. Reserve your place now. Come coach with me at Expert Celebrity™ Book Marketing 2015. Get your hands on the incredible practical and empowering book marketing and expert celebrity™ visibility tools I'll give you. P.S. 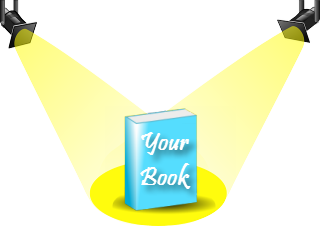 Expert Celebrity™ Book Marketing is where you'll get my marketing strategies showing you the exact places for your book and in your business where you can immediately begin increasing your income. P.P.S. If you have ANY questions about if attending Expert Celebrity™ Book Marketing is right for you, please feel free to reach out to my team. We will happily and patiently answer your questions. You matter to us and we want you to feel how much we care about YOU and get your book out and sold. You're welcome to email us at Support@RuthKlein.com. "Before I attended your event, I was ready to quit my career. I was so inspired to start my business again... and my life. After listening to you for 3 days, something inside me shifted BIG TIME and within a year of zero income, I have sold a book. You are a combination of wisdom, truth and business and marketing brilliance." I WAS SO DELIGHTED WITH THE EXAMPLE RUTH GAVE ABOUT USING FACEBOOK FOR HER 4G BRANDING SUMMIT WHEN WE CO-PRESENTED AT A MAJOR TELESEMINAR CONFERENCE WITH OVER 800 PARTICIPANTS..
"Ruth Klein, one of the most creative and professional brand & marketing experts I know, and I have worked together on various projects for several years. that I asked if I could continue to use her Branding Summit as a case study of what could be achieved by a company using lots of ingenuity, strong brand positioning and a little cash." "She discouraged traditional advertising and helped me market to my ideal clients. The marketing advice Ruth gave me has proven to be quite valuable and the future looks very nice for us." Within weeks after working with Ruth I had built my business structure, created the first level of pricing, and was taught how to target my perfect clientele. I went from charging $450 to $10,000 per client - a 2,000% increase! I had my first client within that month. I had my second client 3 weeks after I signed on my first client. My third, fourth, fifth, and sixth client all came not long after. I should also mention every single client I have has come to me. I've not gone seeking any clients for myself. For 2 years I experienced overwhelm and a stuck state because no matter whom I consulted with, I was still blocked regarding defining my niche and my unique brand. After only 2 meetings, Ruth took me through an elegant process which magically elicited from me my very own authentic niche and brand! OMG - Ruth's laser-like abilities honed in on drawing out the messages from my soul. I am moving forward unimpeded, at last! All my pent-up energies and messages are being released from my soul and are being channelled into one focused message in my upcoming book. I have so much purpose and vitality that I feel unstoppable! 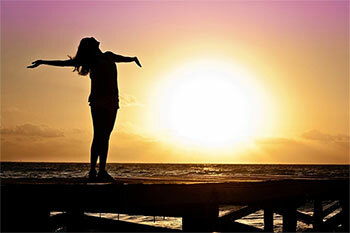 Ruth showed me how to proceed and I got six new clients to coach with their health and vitality almost immediately. But I have had a double whammy blessing! Ruth Klein was my marketing person in the early 90's when I owned a beautiful Spa in California, we had a blast working together! I left California and had not spoken or seen Ruth in 18 years and as life would have it, things happen right when you need them. Ruth just happens to be in Austin Texas speaking and doing her magic. It was as if I had seen her yesterday. I have a new career now and needed sound advice on how to proceed and was stuck on how to do that. Ruth showed me how to proceed and I got six new clients to coach with their health and vitality almost immediately. Now that's what I call the Ruth Klein 'Magic'. Because of Ruth's ability to move through this process very quickly while still staying focused on our overall vision, we were able to launch the BluScience brand into national retail within 6 months from our start date which is literally unheard of. With Ruth's assistance, we were also able to stay within our original budget since this process was done within our projected time line. We at Product Placement Inc. would like to take this opportunity to thank you for a very successful business relationship our companies have forged and we look forward to working on many similar projects in the future. Tricia Weldon, Product Placement Inc. Thank you from the bottom of my heart. You are the most loving, no-nonsense business-intuitive who speaks the truth you wish someone would tell you! You told me exactly what I needed to hear in a way that went straight into me like words of power should, no overlay of syrup or bite, just what's needed to get you going. That's a phenomenal gift! I have set a date for my coaching program launch date. I sat down after our call and in four hours had planned a whole launch progression including 2 workshops, 4 content-laden free calls, a low cost virtual gratitude ceremony this Saturday and a virtual meditation retreat. I am writing again daily because I have renewed clarity and purpose. I was stuck, I'll admit it, before I talked to Ruth Klein. I had stopped writing because I couldn't figure out how my life story was going to help someone else. Ruth told me 2 things: it was ok, whatever happened in my story, because that made me who I am and that telling my story teaches other people to embrace who they are, no matter where they've been or what they've done. Thank you Ruth for opening the gate for me, for the inner permission and purpose I got from those 2 statements. I am writing again daily because I have renewed clarity and purpose. A great coach shines a light for us when we can't do it for ourselves, and that is Ruth. Copyright © 2015 Ruth Klein. All Rights Reserved.